The Olympic Games have ended and will happen again in 2020, but here in the Eastern Sierra gold is far more easily attained and is awarded to us every year. 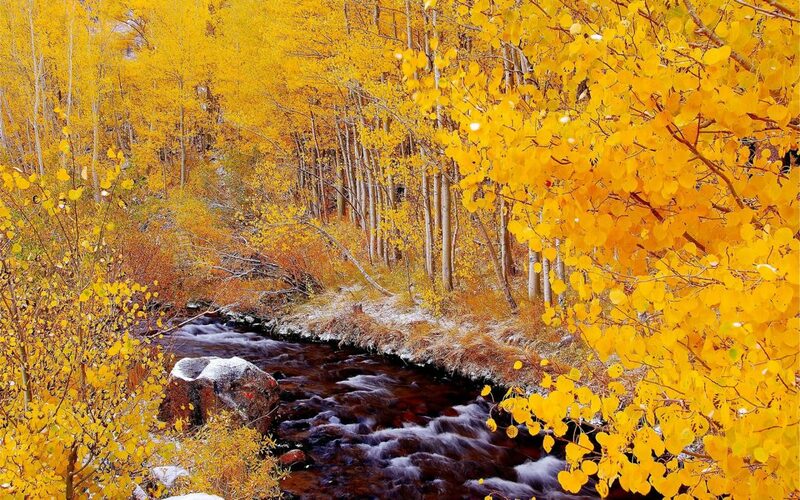 When the air cools and summer turns to autumn the leaves begin to change color and an abundance of yellow, orange, red, russet and gold is presented in the forests near Bishop. Historically this was the season of the harvest, when farmers gathered crops to put in storage for the winter season. Festivals and celebrations often marked the harvest as a testament to the commitment and strength of those working the land and in gratitude to mother nature. Autumn was the season to celebrate achievement. Autumn is now more commonly referred to as fall. It is characterized by the splendid visual display that precipitates the falling of the leaves from the trees. No matter how often we witness it, it is always remarkable for its beauty and significance to the passage of time. Leaves are the food producing parts of plants and the process by which they do this is called photosynthesis – meaning, “to put together with light.” The catalyst required for photosynthesis in all plants is the chemical chlorophyll. It is a green pigment most abundant in leaf cells. In the presence of chlorophyll the plant uses sunlight (or artificial light) to synthesize carbon dioxide and water to produce sugars. The sugars produced through photosynthesis are the food source for the plant that sustain it and allow it to grow. During the summer growing season leaves appear green because of the high concentration of chlorophyll, which masks the other pigments also present within the leaf. 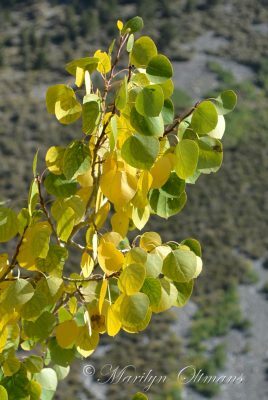 As the hours of daylight decrease the production of chlorophyll slows and eventually stops and the other colors, predominantly yellow and orange, begin to emerge. Plants produce far more food than they need to survive and the overabundance of sugars in the leaf are an additional factor that contributes to the color change. If the growing season has been good for the plant and the remaining light and temperature are right the reds emerge with greater intensity. When does it happen and how long does it take? From a few days to a week or more before the autumnal equinox, September 22nd this year, the color change can begin. Weather plays a large role throughout the year. The amount of sunlight and water and the temperature levels during the growing and slowing season are major factors that affect the hues, rate of change, intensity, and duration of color that occur during autumn. 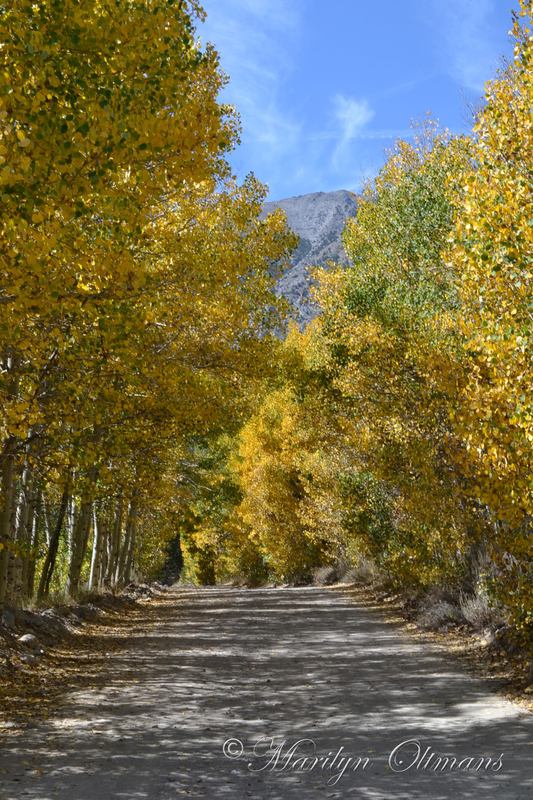 Here in the Eastern Sierra the mountainous terrain also affects the changing of the colors. Temperatures cool quicker at the higher elevations and sunlight is further reduced as shadows are cast when the sun drops behind the crest of the Sierra Nevada. The color change begins first in the canyons and alongside lakes and streams in the mountains high above Bishop and then tumbles down into the Owens Valley many weeks later as the nights grow shorter and temperatures colder. 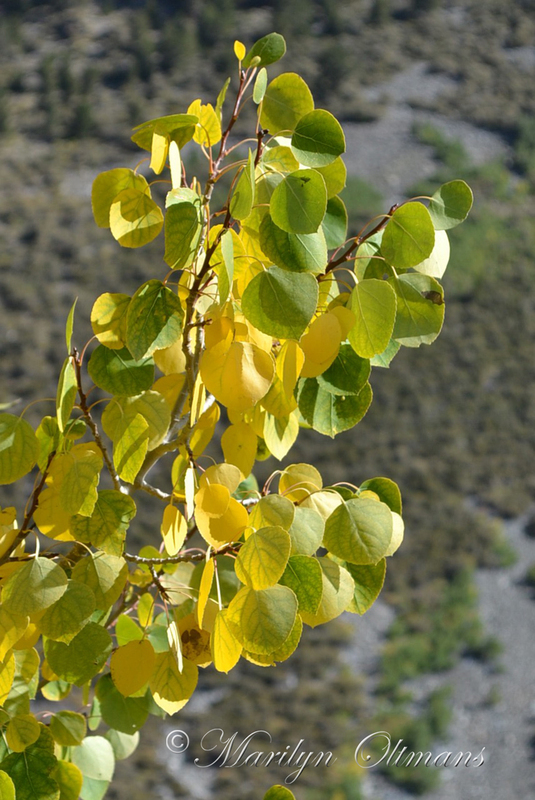 What trees grow and change color in the Eastern Sierra? The principal players in this spectacular display of color are aspen, willow, and cottonwood trees. The mountain alder, a shrub belonging to the birch family, participates too and, in a very few stands where it occurs, the California black oak adds a rich color to the palette. Where is the best place to see fall colors? Bishop Creek Canyon is one of the most beautiful places (in the state – if not the country) to witness this magnificent display. 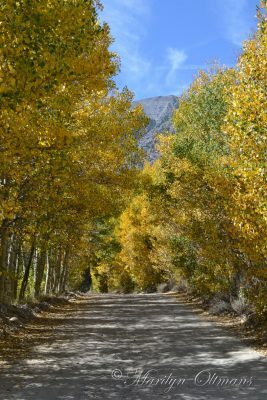 A short drive west from Bishop on State Route 168 (W. Line Street) will take you up into the canyon where there are innumerable places to see the changing colors of the forest. 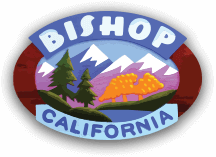 The entire canyon comprises three forks of Bishop Creek – north, middle and south fork. A large lake marks the head of each fork, North Lake on north fork; Lake Sabrina on middle fork; and South Lake on south fork, with numerous other smaller lakes along the creeks. The road winds up through the groves of aspen and willow with ever changing views as you drive. Exploration on foot from any of the turnouts and trailheads will take you deep into the explosion of color. This is the golden season. As the yellow turns to orange with splashes of pink and dashes of red the overwhelming visual sensation is one of burnished gold. Autumn is the season when we all win! 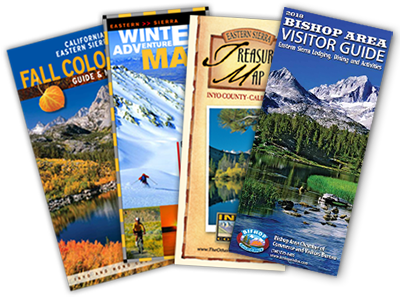 Call (760) 873-8405 or come into the Bishop Visitor Center at 690 N. Main Street for maps, directions and more information about the fall colors in the Eastern Sierra.